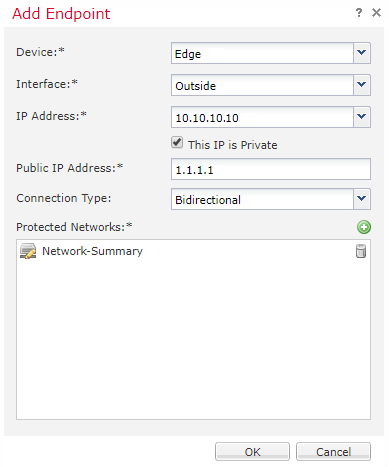 Firewalls running Threat Defence support site to site (AKA LAN-to-LAN) VPNs. They’re slightly different though, as the VPN is configured in FMC, not on the device itself. 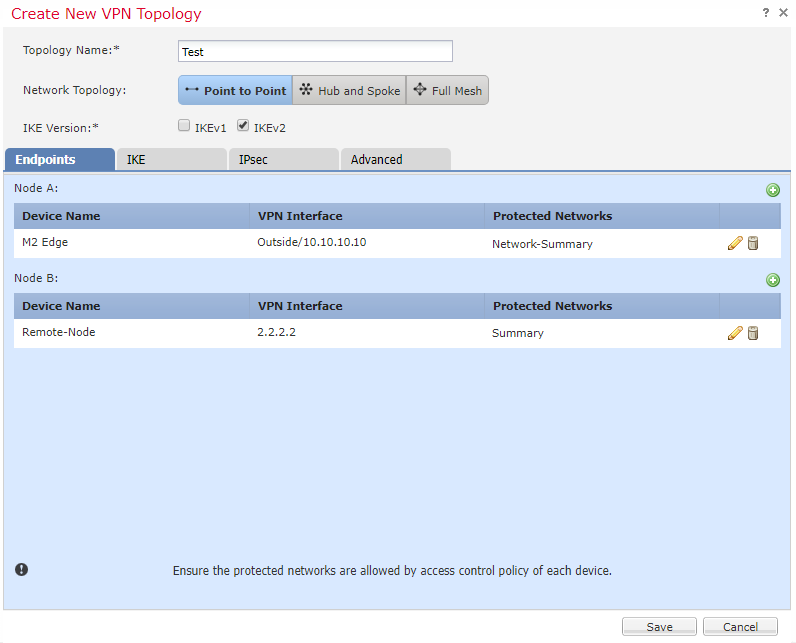 In this article, we’ll look at how to configure a site-to-site VPN through FMC. Please note, this applies to FMC managing devices that run FTD. Regular ASA with Firepower Services do not have their VPN’s configured in FMC. Each device in any of these topologies is called an endpoint. At least one endpoint will be a device managed in FMC. 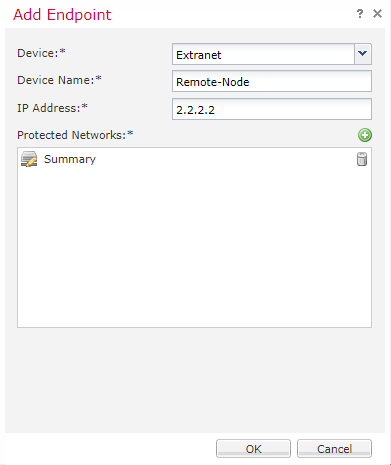 Any device in your VPN topology that’s not FMC managed is called an Extranet device. 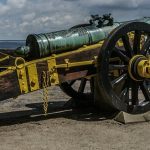 This includes devices in your network that don’t run threat defence, devices outside of your network (such as a router in a partner network), and Threat Defence devices managed by a different FMC server. We can use FMC to push VPN config to remove FTD devices. This is possible for devices managed in our FMC, or devices managed with another FMC server (such as a remote office managed by a different team). 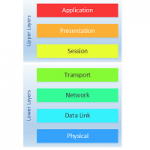 Each endpoint has a protected network associated with it. This is, as the name suggests, the network that’s behind the VPN device. The ultimate goal of the VPN is for the protected networks to communicate with each other. No special licensing is required for the VPN, as long as export-controlled features is enabled. 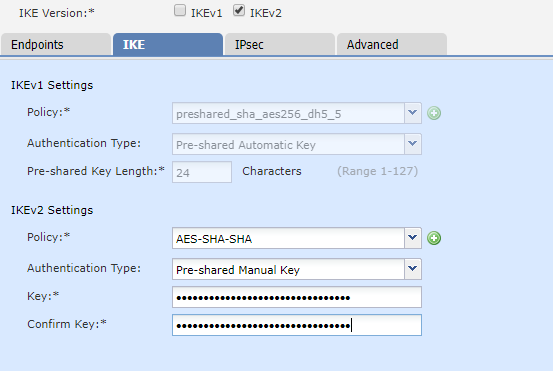 Each endpoint can be authenticated using either certificates or preshared keys. Preshared keys may be automatic if FMC manages all the endpoints. 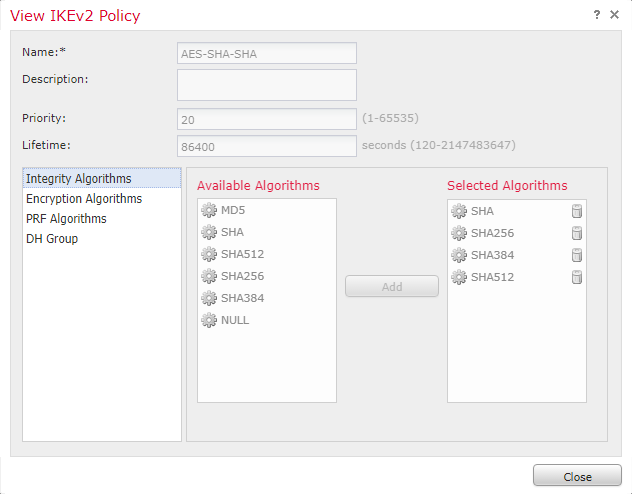 As shown below, you can select the algorithms that you want to use. The same applies to IPSec proposals. We’ll now create a point-to-point VPN that connects to a third-party device. Now we need to define our first endpoint (Node A). 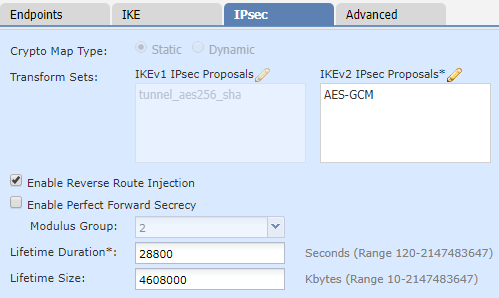 Next, we configure IKE (the phase-1 tunnel). The settings available to us are determined by the version of IKE that we’re using. 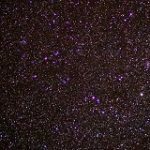 There are a few final things that you may want to consider for your environment. NAT Exemption – If you use NAT, you will need to create an exemption for the traffic going over the VPN. Dynamic Routing – Reverse Route Injection gets the route into the local routing table, but it doesn’t go any further. If you want to advertise this route, you need to redistribute it into your IGP. 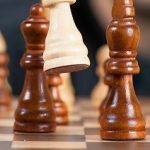 Policy Deployment – Remember that your changes will not take effect until you deploy them to your devices. The simplest place to check the status of your VPN is in FMC. Browse to System -> Health -> Events. Then click on VPN Status. The remaining verification takes place on the FTD CLI. When you are at the CLI, run system support diagnostic-cli to get the Classic-ASA style console. From here, run packet-tracer to simulate traffic between the protected networks. NOTE: I’ve used some fake IP’s here, so I don’t share any real network information. Now, let’s confirm phase-1 (IKE). You may find that the commands below do not return any data initially. This is because FTD will not attempt to bring the tunnel up until it sees some traffic trying to pass over it. A ping or packet-trace can help with this. Configuring IP SLA somewhere else in the network may be useful to keep the tunnel up. Now, have a look at phase-2 (IPSec). In particular, look for encaps and decaps. 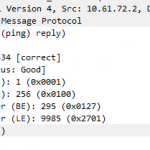 Encaps are packets that we encapsulate and send over the VPN. Decaps are packets that are sent over the VPN to us, that we need to decapsulate. If you’re using Reverse Route Injection, then you should check that the route is in the routing table. Start by checking if the route is in FTD, as shown below. Then check that it’s being redistributed into your IGP successfully.